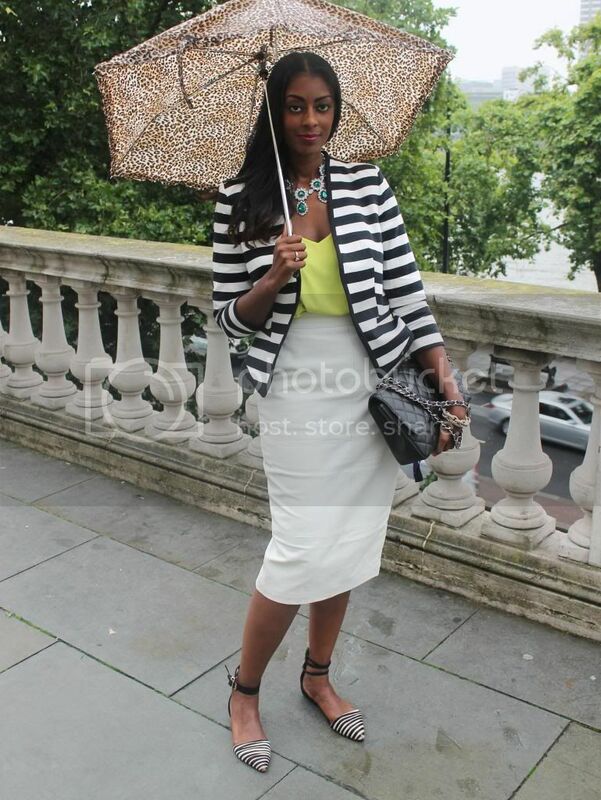 First day of LFW and it rained the whole day, so these were the only outfit photos I could get done. I purchased this Asos leather skirt as I already had the wine coloured one and knew it would fit, think I have found the perfect leather skirt. And yep I'm an addict as I also bought the black version too! Enjoy your week my lovelies!!! 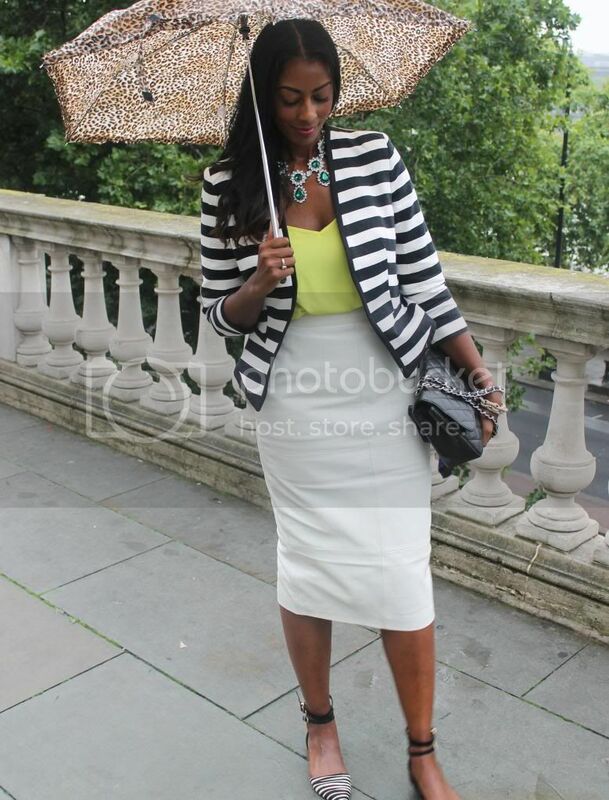 I absolutely love everything about this look... amazing sandals, amazing jacket, great skirt,fasionable umbrella...perfect pattern combinatin!!! Lovely!!! Ah I would have snapped this skirt up in all the colours too. it looks gorgeous on you! Thanks Sophie! I'm a sucker for purchasing every colour if it works for me! Beautiful outfit!! You look so classy! Very cute color combinations! Love the emerald necklace too. Follow me on my blog and I'll return the favor! love the flats1 super cute! Absolutely love this skirt. I don't blame you for buying it in every color. Great look. I love how you combined stripes on a blazer and on your flats! Lovely outfit! The skirt is too cute! I'm loving this look! Love the blazer matching the shoes! !